But that is not all that’s happened. The debt ceiling event in the early life of the new government has firmly embedded one crucial economic fact in the mind of the electorate: that the national debt, prior to the Coalition coming to power, was less than $300 billion. This will be important when the voters come to judge the economic credibility of the new government in 2016 when the national debt will be in excess of $400 billion. They will have an undeniable reference point. Normally your average voter hasn’t a clue how much the nation owes when they go to vote. This time, however, they will remember that figure. The debt ceiling deal has also revealed the hypocrisy of earlier statements by the Prime Minister, Tony Abbott when in opposition. “No real friend of the workers of Australia would want to do a deal with the Greens. We can never build a better future by doing cheap and tawdry deals with the Greens”, he said in August. Well, now it appears, we can. So, just four months into the new government, an interesting scenario has developed. Joe Hockey is on the record as saying Labor will never produce a surplus. That opportunistic call will most certainly come back to bite him. It is entirely conceivable that Joe and his government won’t deliver a budget surplus either; possible for ten years, should it still be in government. But, the bigger issue will be the likelihood of a recession and the resulting unemployment. Australia has had a stunning run of good economic fortune resulting in 22 years of uninterrupted growth since the last recession in 1991. It has been brought about for two reasons. It was the Keating economic reforms of the 1980′s and 90′s coupled with the mining boom of the first decade of this century that have made us the envy of the world. The first was a master stroke of forward planning and pragmatism, the second was the rise of China as an economic power and our capacity to be ready for it. In reality, China was just a stroke of good luck. We were in the right place at the right time. But it is pretty clear the good days are over now. Unless we suddenly experience a resurgence in manufacturing or another country’s industrial expansion creates a shortage of ‘stuff’ we have in the ground, there’s not much else that we have to offer to avoid dark days ahead. The previous Labor government saw this coming. Revenue from the mining boom was in decline. Treasurer Wayne Swan tried to cut back on some of the Howard/Costello excesses, including the $300 private health subsidy. The then Opposition would not support that. Perhaps now, Joe Hockey wishes they had. To his credit Joe has moved to end some of the Howard/Costello vote buying excesses, but they won’t amount to much. Christopher Pine tried to contribute by flip flopping on the Gonski education reforms only to make himself and Tony Abbott look stupid. Cory Bernardi wants to cut funding to the ABC and Scott Morrison is finding new ways to persecute asylum seekers but as yet is not offering any cost savings. In the meantime we waste billions trying to keep asylum seekers from coming to our shores when economic pragmatism says managing the problem on our own shores is the better option. Leaders today get elected on the basis of three-word slogans; they become the people’s choice for the time being. They use catchy little phrases to attract ignorant voters. They borrow most of them from past, equally unimpressive, leaders and have nothing original to contribute. But, we anoint them as our Prime Minister until their weaknesses surface and we look to someone else. Few can show the courage and conviction of a Paul Keating when they know what is needed, even if it costs them government. Few have sufficient intellect for that and those that do, like Keating, are generally despised for it. John Stuart Mill once wrote that not all conservatives are stupid, but most people who are stupid are conservative. That is probably because they are afraid of what they don’t know. They seek guidance at every turn and accept the time honoured practices and formulae of the past; they view such a strategy as safe. In short, they don’t know any better and don’t want to. They just want to be reassured. Conservative politicians are good at offering policies of reassurance. But that is not going to work in the present and near future economic environment. The challenges of the near future require something of the Paul Keating brand of courage. Joe Hockey has not shown us yet, that he is up to the challenge, but if he is, he will have to cast off the conservative Coalition mindset and risk being very unpopular. His decision to block the sale of GrainCorp on the grounds that it would have been very unpopular shows that he is, thus far, not willing to do this. 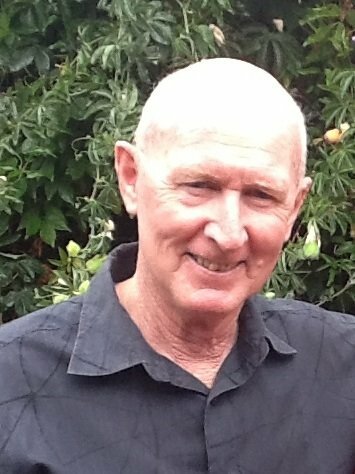 John Kelly is 68, retired and lives in Melbourne. He holds a Bachelor of Communications degree majoring in Journalism and Media Relations. He is the author of four novels and one autobiography. He writes regularly on his own blog site, covering a variety of social, religious and political issues. ← The Coalition and Financial Management….an Oxymoron.